The publication of the UK government’s technical note on customs arrangements the other week was welcome. After months of requests from the EU and the Irish government, the UK government have, at last, provided a written draft plan on the Irish border to discuss. In this blog, Etain Tannam (Trinity College Dublin) explains whether the UK’s backstop proposals signal progress? 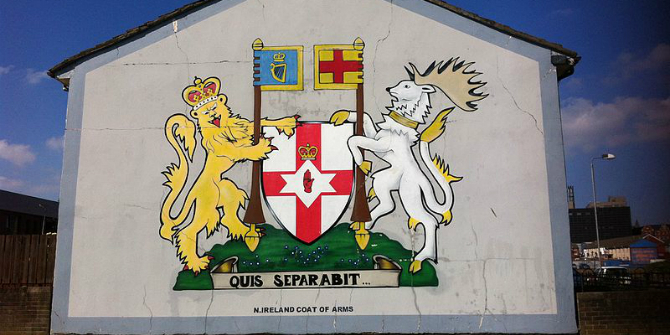 British-Irish relations had become increasingly strained over the previous 18 months. The Irish government and the EU had repeatedly stated that there could be no transition agreement unless the backstop was written into legal text. The note attempted to meet, or at least acknowledge, this demand. The main elements of the technical note have already been detailed on this website. In particular, the technical note proposed that the backstop arrangement be extended to all of the UK, not just Northern Ireland. The UK government’s expectation was that it could end in 2021, when the future customs relationship may be agreed. The note also proposes that the UK will be able to benefit from the EU’s free trade agreements (FTAs) and states its wish to avoid any EU controls. There is scope in the note for both positive and negative predictions. The note provides bargaining space in the Brexit negotiations. But it raises the continuous issue of the UK ‘cherry-picking’ its relationship with the EU – gaining the benefits of the single market, without the obligations. From a UK domestic bargaining perspective, the note avoids alienating the DUP and Brexiteers in the short term because it provides an alternative to a sea border between Northern Ireland and Britain. It also asserts that the UK will leave the customs union when it leaves the EU. However, although it asserts that the UK will leave the Customs Union, it also states that it expects that the UK will stay in the Customs Union until 2021, its expected date for a trade deal. So the circle is still not squared between hard-line Brexiteers and soft Brexiteers, and it is unclear when exactly, if ever, the backstop would cease to apply. So far, Brexiteer responses have been muted and DUP responses have been positive. EU and Irish government responses have been mixed. Michel Barnier, the EU’s chief negotiator, said that extending the backstop to the UK was not an option. He questioned various other aspects, such as the omission of regulatory alignment as part of the backstop in the UK’s note, contrary to the backstop protocol of 8 December 2017. Barnier also questioned the implication that the UK could avoid VAT under the back-stop arrangement. The Taoiseach, Leo Vardakar, said that the backstop could not be time-limited and emphasised this issue as the central concern, not mentioning the issue of extending the backstop to the whole of the UK. There are signs that the Irish government, contrary to some UK media accounts and some DUP accounts, is not unsympathetic to Theresa May’s own constraints. The Irish Minister for Foreign Affairs, Simon Coveney, was reported as saying to Theresa May that he would help give her bargaining space in the Brexit negotiations if she faced down the Brexiteers. The Taoiseach stated on June 9th that he was not pessimistic about a deal being reached in October to allow progression to trade talks. Both Varadkar and Michel Barnier have played down the significance of the June summit altogether. The Irish government has mentioned over the past three months that it is open to possible solutions. For example, it said that it did not necessarily rule out the customs partnership idea. These priorities are shared by both the EU and Ireland. However, Ireland’s proximity to Northern Ireland, the history of the conflict in Northern Ireland, and its proximity to the UK mean protecting the Good Friday Agreement and a soft border are core priorities. So a backstop solution that applies to Northern Ireland and the UK would solve many problems arising from the border and the DUP’s opposition to ‘special status’. However, it would open up the charge of ‘cherry-picking’, which could undermine the aim of maintaining the integrity of the single market. Amendment of the technical note so that some ‘cherry-picking’ implications are diluted – such as the UK government’s stated wish to avoid VAT, or its free trade agreement aspirations – could allow for EU compromise on other issues, such as extending the backstop to all of the UK. Image by Keith Ruffles, Creative Commons Attribution 3.0 Unported license. The Irish government’s task in the months ahead is to stay firmly on the EU team, to hold firm about the necessity of a backstop, but to create space for the UK government and the EU to compromise on other elements of the technical note. The end result should be a bespoke arrangement that does not imply ‘cherry-picking’ and that avoids a land and a sea border between Ireland and the UK. Theresa May’s task is to avoid a cliff-edge Brexit, while preserving her leadership. To reach a deal in October, she needs to maintain the DUP’s support and that of her cabinet, but also to keep the Irish government and the EU on board. It is noteworthy that, in contrast to reports that David Davis got his way in ensuring the backstop would be temporary, there were other reports the temporary nature was aspirational, and dependent on another solution. On this interpretation, in small steps Theresa May was moving the UK towards a soft Brexit. Overall, there is evidence that all sides perceive a common interest in reaching agreement in October. It has not always been clear to what extent Theresa May perceived this common interest. So this perception, combined with the existence of a written proposal from the UK government, constitutes progress. Therefore, the strategy in the next three months will be to identify issues in the technical note that can be agreed and where compromise can occur. The EU and the Irish government are frustrated at the UK government’s slow progress, and the challenge from Brexiteers is a constant threat. However, in comparison with 2017, when the British-Irish bargaining relationship was increasingly adversarial, the UK’s technical note and the Irish government’s response do at least offer hope for a more cooperative and substantive bargaining relationship emerging. Hopefully, this will happen in time for the crunch October summit. This article gives the views of the author, and not the position of the LSE Brexit blog, nor of the London School of Economics. It first appeared on UK in the Changning Europe. 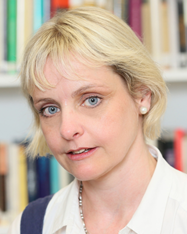 Etain Tannam is Associate Professor in International Peace Studies, Trinity College Dublin.